Mark Pryor has worn—and still wears—many hats. He’s the author of the Hugo Marston mystery series—the series’ 8th novel, The Book Artist, was released last month—and of the thrillers Hollow Man and Dominic, and he also created the true crime blog “D.A. Confidential.” A former newspaper reporter from England, he’s now in Austin, Texas with the District Attorney’s Office. And as a prosecutor, he has appeared on CBS News’s 48 Hours and the Discovery Channel’s Discovery ID: Cold Blood. He’s also a board member at-large at the national level for Mystery Writers of America—which is in part how he came to contribute the essay here today. While Mark and I were at the MWA board orientation in late January, we started talking about our lives and work, and the topic of boarding schools came up—Mark having attended one just as I did and having drawn on those experiences for the opening of his second Hollow Man book, Dominic, just as I’m drawing on my boarding school years for my own work-in-progress. As you’ll see from the essay here, Mark reveals how those years can be formative to later experiences and decisions, something that I’m exploring as well. 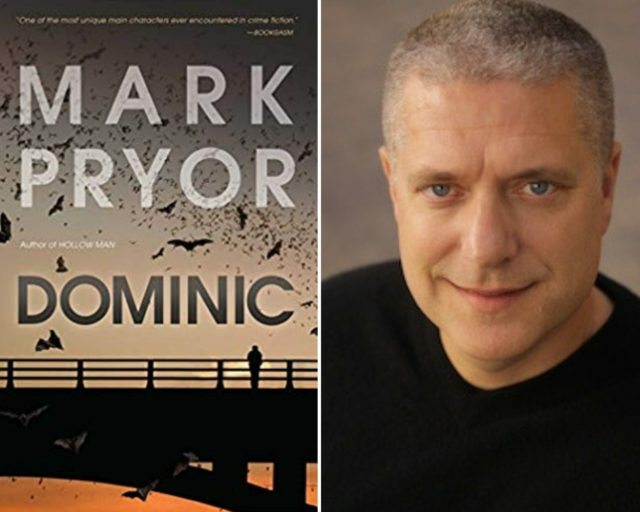 Though Mark’s latest novel is from his other series, he generously agreed to write on Dominic, which was released last year. I’d encourage you not only to enjoy the essay here but to check out all of his books. Enjoy!